Going back to school is a big deal. Some students get excited about returning to classes, but others just want summer to last forever. To make this time of year better for your school-aged children, send them this Back to School card! They will be able to find their favorite subject in the card's design and get excited as they remember what they love about days in the classroom. 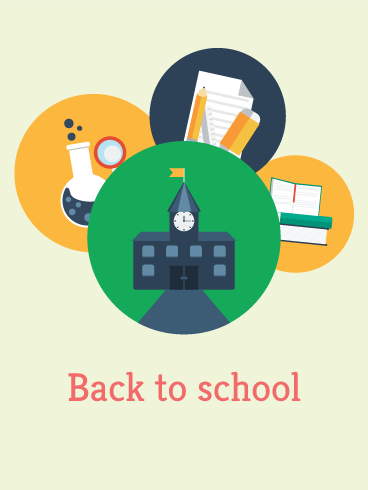 What was your favorite part of going back to school? Was it the new friends you would make? Or maybe you loved getting to learn new subjects in your brand new grade? 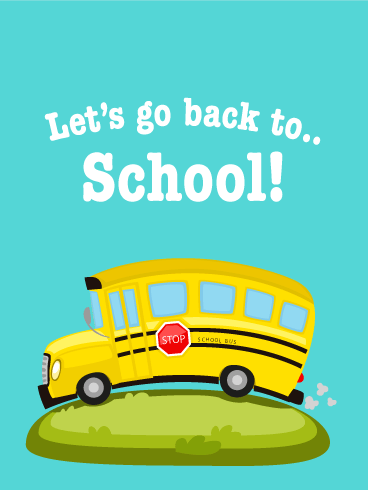 As your kids go back to school, send this bright card to celebrate the start of a new school year! Help them make new memories as they begin this next stage of life! Are you a teacher for students in the upper grades? 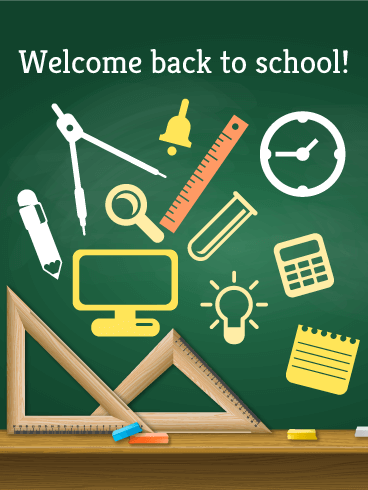 Are you getting ready to welcome new students for the upcoming school year? Let your students know how excited you are to meet them with a fun Back to School card! This card shows instruments from a variety of subjects and includes a welcoming message to send to your students today! All throughout the world, children are going to school to expand their knowledge, meet new friends, and learn more about the world they live in. 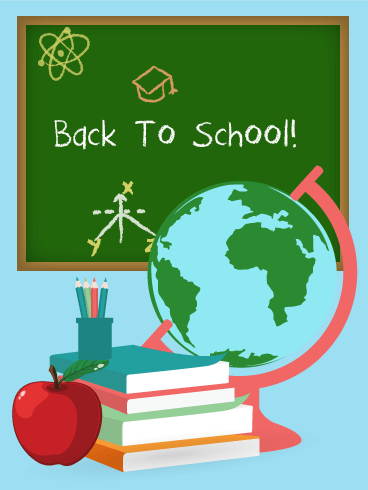 As your students get ready to return to school, send them a fun card to celebrate! This Back to School card features well-known school objects, which will help your children get excited for new knowledge and adventures!